PureBites products are made with a delicate Freeze Drying process that preserves the nutritional and structural reliability of raw, fresh food. In this process, water is only thing that is removed. If you want to try these items for your pet to enjoy many health benefits, you can do so by saving 50% off Pure Bites Treats with ecoupon at wag.com. These treats are made only with 1 ingredient in the United States. Your pet will love them because they are freeze dried raw to retain the fragrance, freshness and texture that they crave. These are 100% pure treats with rich nutrients for them to live a healthy and happy life. The benefits include low calorie, high protein, grain free, hypoallergenic, healthy coat and skin, restricted diets, and more. 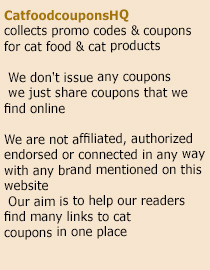 The products include PureBites Freeze Dried Shrimp Treats for cats. These contain lots of protein, Vitamin B12, Vitamin D, Omega-3 fatty acids, and less than one calorie in each. With just one ingredient, this is a nutritious and wholesome treat. Another option is the PureBites Freeze Dried Turkey Breast which your cat will love. Cats always crave meaty goodness, so they will love the good taste of the turkey treats which are freeze-dried to maintain the freshness and natural nutrition. These treats for cats are also high in protein and each contains less than two calories. Once again, these treats contain just one ingredient so you can be sure that your cat will get 100% pure and natural turkey breast that is inspected by the USDA. Get 50% off Pure Bites Treats with ecoupon today! This entry was posted in PureBites. Bookmark the permalink.